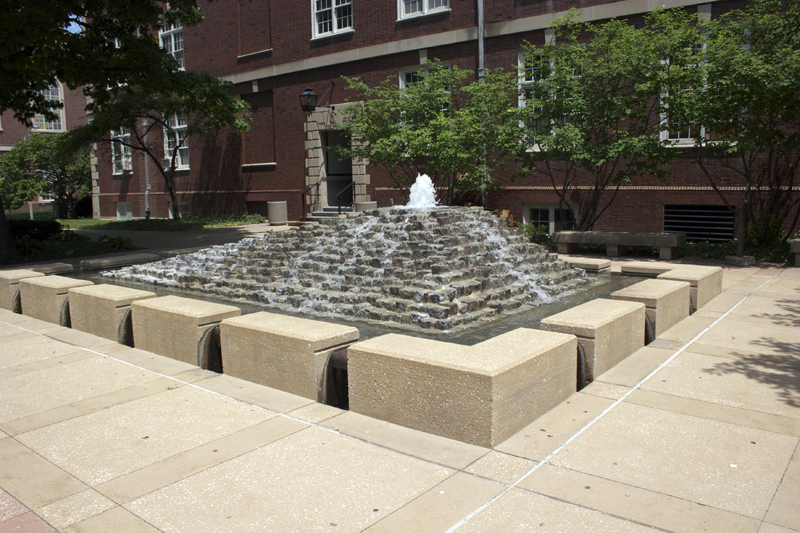 This stone fountain was gifted to the University by Janet L. Weston. It is displayed in the West courtyard of David Kinley Hall. Nathan Austin Weston was the first acting Dean of the College of Commerce and Business Administration (CBA) from 1915-1919. 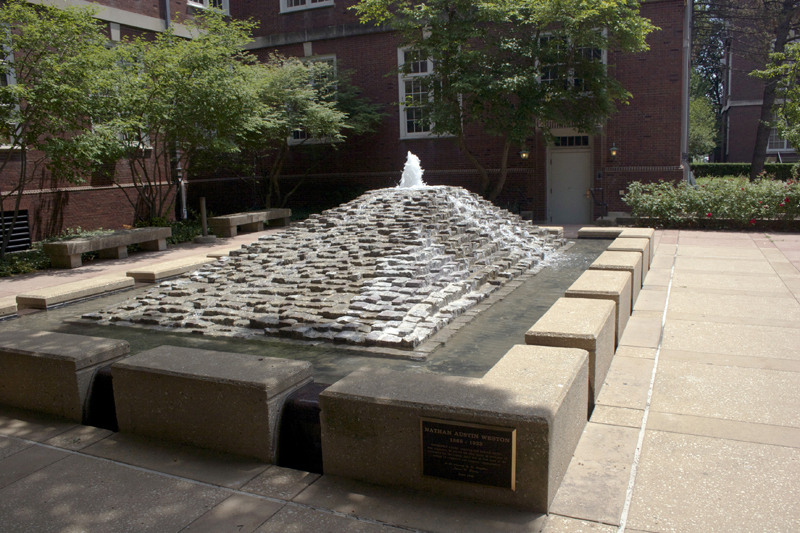 In 1997 his daughter Janet L. Weston gifted this fountain to the University in memoriam of her father, and the fountain was dedicated in that fall. Janet was also an economics professor of the CBA for nearly forty years. Kara Brehm, “Nathan Austin Weston Memorial Fountain, 1997,” ExploreCU, accessed April 22, 2019, https://explorecu.org/items/show/64.